We will deal with any personal information that you provide to us when you use our Web Site in accordance with the provisions of UK data protection laws. Online payments are taken via PayPal so we do not see nor store any debit / credit card details. When you browse the SensoryTreasures.co.uk, we may automatically collect non-personal information about you such as the type of Internet browser you use or the web site from which you linked to our web site. You cannot be identified from this information and it is only used to assist us in providing an effective service on the Web Site and to improve our search engine ratings. When you use SensoryTreasures.co.uk, you may choose to contact us by sending us an e-mail, using the form in the footer of each page of the website. We will use your e-mail address to respond to your query. We may also keep a note of your query to help us answer further questions you may have. We would also like to retain your e-mail address in order that we can provide you with details from time to time of products and services, which we think, may be of interest to you. You can ask to be included on our e-mail list by filling in the form. If at any time you wish to be removed from our e-mail list please contact us by phone, letter to the address shown below or by e-mail (use the e-mail address Carol@SensoryTreasures.co.uk), simply put unsubscribe in the subject of your e-mail. 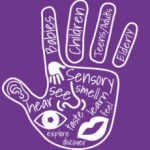 SensoryTreasures.co.uk may contains links to other sites. These are to provide useful links and information for our visitors and customers. Please be aware that we are not responsible for the privacy practices of any other web sites.